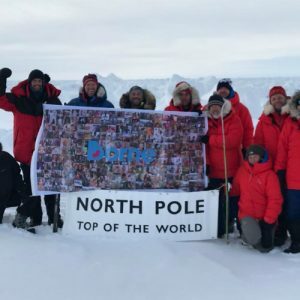 In April 2018, nine adventurers led by Alan Chambers MBE and Wayne Hoyle trekked to the North Pole to raise awareness and funds for research into premature birth. Your generosity is fuelling a new research programme into the maternal immune system during pregnancy and its impact on premature birth. Thanks to you, we have invested in the scientific talent to drive this programme forward. 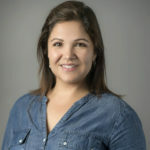 A new Principal Investigator, Dr Victoria Male, will lead our maternal immunology research starting in May 2019. 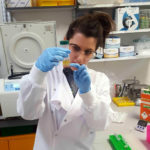 Victoria is a Sir Henry Dale Fellow funded by the Wellcome Trust. We have appointed Nicola Ruiva as full-time Research and Lab Manager and Giulia Carlino as Research Technician. 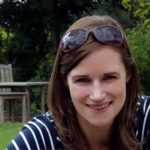 Our first full-time Research Midwife, Alanna Linkhorn, has also come on board to recruit more pregnant women into our studies. My early research was on how the immune cells in the uterus develop and gain the ability to recognise the placenta during the first few weeks of pregnancy. I am coming to Borne to look in more detail at how this impacts preterm birth: if we can identify what is going wrong, we can start to devise interventions to prevent preterm births from happening. I am fortunate to work with some brilliant clinicians and results-oriented scientists at Borne. As research manager, my role is to ensure that projects are well executed. I facilitate communications between clinicians and researchers, identify opportunities to strengthen the research and manage operations, teams and processes in the labs – getting us closer to our common goal: understanding and stopping premature labour. 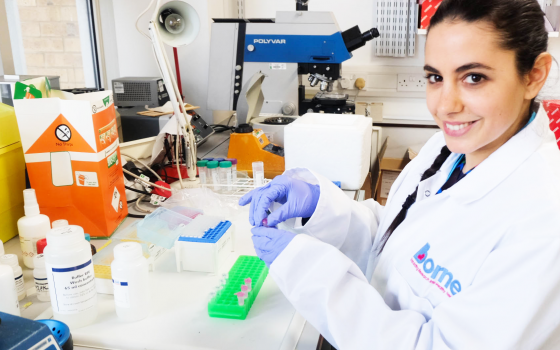 As a research technician at Borne, I am responsible for processing samples that come into the lab, including blood, urine and placenta samples, which are collected throughout a woman’s pregnancy. In my time here, I have learned so much about the physiology of pregnancy and I hope I can make a contribution, big or small, towards advancing our understanding of premature birth. 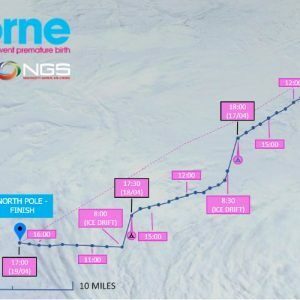 Watch the official Borne documentary of a purposeful adventure. 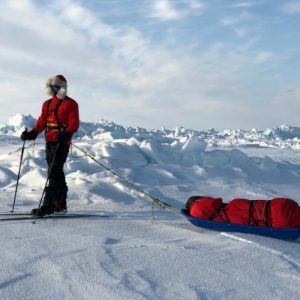 The film would not have been possible without the incredible support of Georgie Breitmeyer from KO Productions who not only trekked to the North Pole but also shot, directed and produced the film. 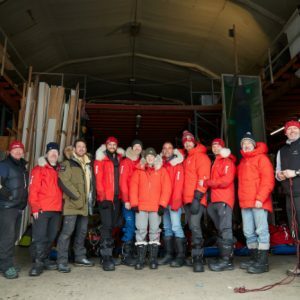 A huge thank you to Jake Turney and Will Douglas for the photography and capturing footage in Longyearbyen, and we are_ for their editing and post-production magic. 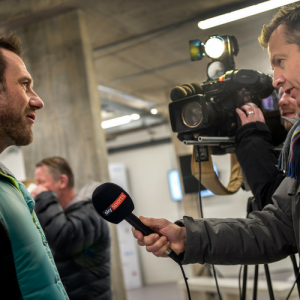 Borne Patron Will Greenwood MBE narrates the incredible journey to the North Pole in a three-part documentary produced by Vice Media for i-D’s Amuse channel.